Fort Leavenworth, Kansas overlooks the Missouri River, on the border between Kansas and Missouri. Its campus setting, open green landscape, and hometown friendliness enhance Fort Leavenworth as a historical landmark. 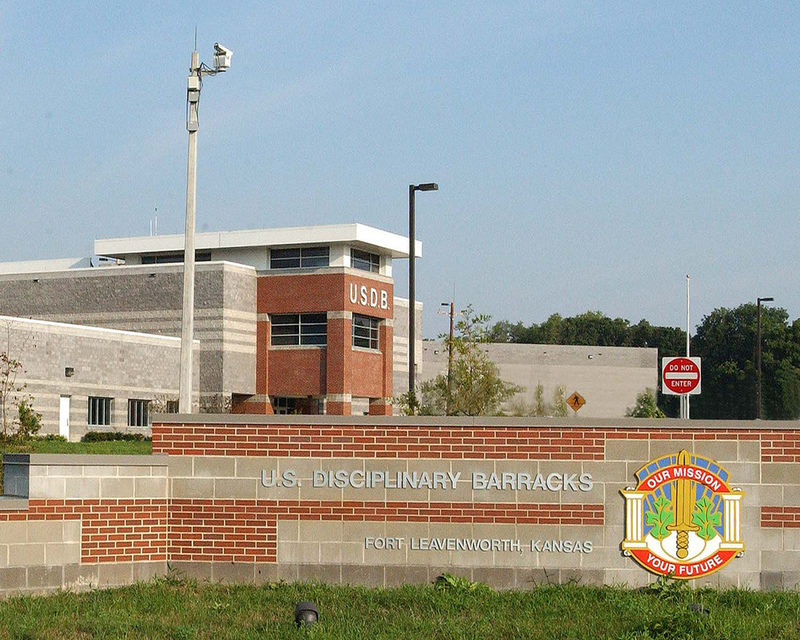 Fort Leavenworth is home to U.S. Disciplinary barracks, Mission Command Battle Laboratory, Command and General Staff College and the Combined Arms Center. Fort Leavenworth is the oldest active Army post west of the Mississippi River, and has devoted more than 170 years of service to the nation. Established in 1827, Fort Leavenworth has one of the largest and oldest National Historic Landmark Districts in the Department of the Army. In 1881, Gen. William T. Sherman established the School of Application for Cavalry and Infantry. That school evolved into the U.S. Army Command and General Staff College which is still at Fort Leavenworth. For more information go to the Fort Leavenworth homepage. The U.S. Army Combined Arms Center (USA CAC) is located at Fort Leavenworth. CAC is responsible for six core functions: functional training, leader development and education, collective training, doctrine, training support, and lessons learned. 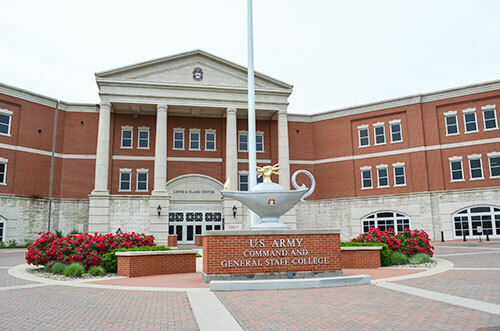 In order to accomplish these functions, CAC has five major subordinate organizations all located at Fort Leavenworth: the U.S. Army Command and General Staff College, the Center for Army Lessons Learned, the Combined Arms Doctrine Directorate, the Combined Arms Center-Training, and the TRADOC Program Integration Office-Mission Command. Fort Leavenworth supports approximately 5,383 active duty personnel (all branches), 90 international officers, 5,200 family members, 2,150 Department of the Army civilians, and a large military retiree community. Additionally, Fort Leavenworth provides support services to family members of National Guard and Reserve units in our area. Kansas City International Airport (KCI) is a convenient 20 miles southeast of the post. There are no commercial buses, military buses nor rail service to or from the post. Airport limousine service operates on a 24-hour call basis. Call Rick's Airport Express at (913) 651-4649, (1-800-331-6796) approximately 24 hours in advance to ensure a reservation for transportation to Fort Leavenworth. From KCI airport terminals follow the signs to I-29 North. Go North on I-29 for approximately 8 miles to Exit 18, Route 92, Platte City Exit. Turn left (West) on Route 92 through Platte City and toward the town of Tracy. After crossing the Platte River follow the sign that points left (West) toward Leavenworth 10 miles. After crossing the Missouri bridge continue on Metropolitan Ave to the Fort Leavenworth Front Gate. From I-70 take the Bonner Springs / Lansing / Leavenworth / KS highway 7 Exit. Go North on Hwy 7 through the city of Lansing to Leavenworth. Continue through Leavenworth on Hwy/4th Street to the intersection of Metropolitan and 4th Street. Turn left (West) and go three blocks to 7th Street. Turn Right (North) into Fort Leavenworth. Upon entering Fort Leavenworth you are on Grant Avenue.